After leaving behind a career in the New York fashion industry, Frank Ricci was ready to find inner peace. What began as a casual yoga practice quickly became his passion. As Frank found his own calming balance and soon realized the tremendous benefits of this age-old form of wellness, he also found his true career calling: to help heal others. Frank received his yoga teaching certificate from The Yogasana Center of Yoga in Brooklyn, New York, where he began teaching in 2010. Since that time, he has received extensive training in Therapeutic yoga, including assisting Deborah Wolk. He studies regularly with his mentors and has had the pleasure and privilege of studying with Donald Moyer of The Yoga Room. In 2011, Frank’s quest for deeper professional training led him to India, where he completed a five-week course studying Iyengar Yoga from Rajiv and Swati Chanchani. 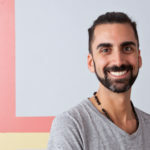 Frank’s compassionate teaching style draws influence from Iyengar Yoga as well as modalities such as Alexander Technique, creating a unique experience for his students that is both encouraging and challenging. 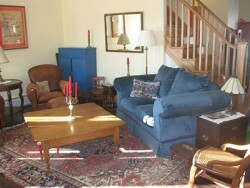 Join me for a Weekend Yoga retreat in the Catskills. Committing yourself to a weekend of Yoga sans distraction of everyday life is a great way to connect deeper to your practice and to yourself. Alignment based classes structured to encourage and challenge you, each class building off the the previous. $50 off if registered by Feb 15th, Please email Frankricci@gmail.com to register.